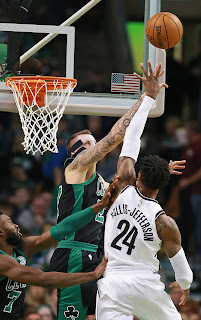 As our calendars, virtual or tangible, flip over to 2018, Brad Stevens’s bedazzling, at times bewildering and ever battlin’ Boston Celtics continue to plead their case for inclusion among this season’s crop of serious championship contenders – as they continue to discover new ways to win. For example, take offensive boardwork, hardly a great strength under the tutelage of Stevens or his predecessor. 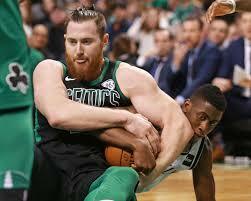 At the moment, the C’s 8.8 offensive rebounds per game produces an Offensive Rebounding Percentage of .206 which ranks them at No. 22 in the league – really not much different than last season’s data (9.1 per, .212, No. 25). But if we were to erase last night’s 19 “follow-up” points from the ledger, it’s likely a Celtic fan would be beginning the New Year in a whole different frame of mind. What really stands out about last night’s effort is its efficiency – only once (early Q3) did the boys snare an OR and fail to score before yielding possession, and only once (mid Q4) did it take more than one try. 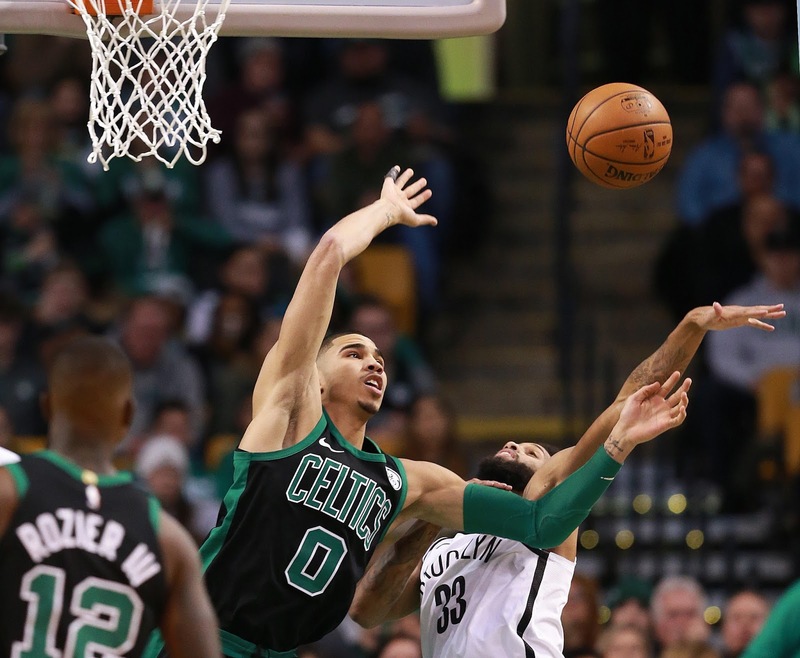 While the Nets held a 16-10 overall edge on the offensive glass (including significant Team Rebounds), they could cash in only four times, compared with the Celts’ eight – and the last two occurred in their final three possessions of Q4. For the game, Boston was +10 (19 points to 9) in this category. And then there was the matter of the foul line. Through three quarters, the home team had earned but five free throws while the guests stood at 12-14. However, that all changed in Q4. Boston attempted 20 FT’s, only the last four “clock-stoppers.” Indeed, four of the C’s first 11 possessions induced a shooting foul – and nearly seven minutes of the Bonus Situation. For the game, both teams had 39 FG’s. The Nets won the battle of the “Stripes,” earning eight (11 treys minus three missed FT’s) to Boston’s five (14 minus 9). But the Celtics converted 12 possessions at the foul line. Brooklyn had only seven such conversions. In 2016-17, the Boston Celtics missed 4.48 FT’s per game (fifth-fewest in the league) but attempted 1.70 fewer FT’s per game than the other guys (No. 20). But this team attempts 1.42 more FT’s each night than does the opposition. While that differential’s been slipping, Coach Brad’s boys have been in the Top Ten by this measurement all season.